Pulling up weeds and trimming the verges by hand is a chore – but by using a powerful gas weed eater, it becomes a task you can complete quickly and easily. 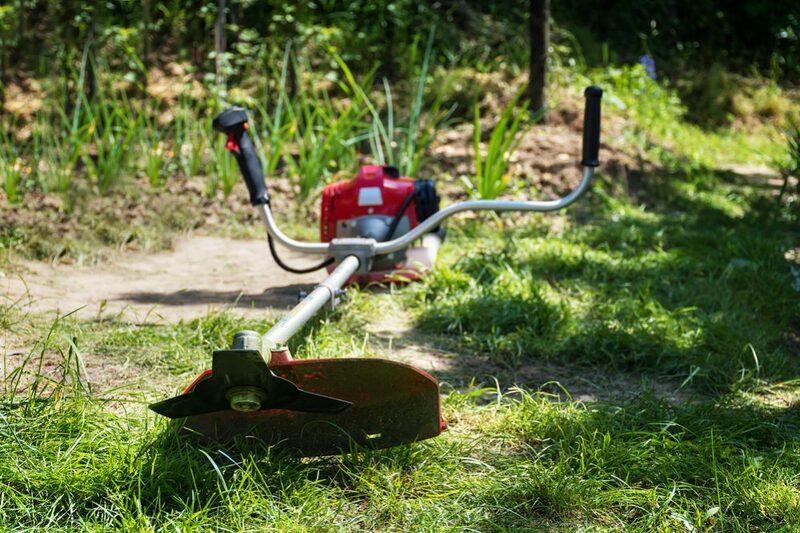 If you are in the market for a powerful and efficient trimmer, read on to see our top picks for the best gas weed eater. If you are looking for the power and reliability of a gas-powered weed eater, this model from Husqvarna could with worth checking out. This is a reputable brand known for making high-quality products, and this is one of their most popular weed eater models for the home. 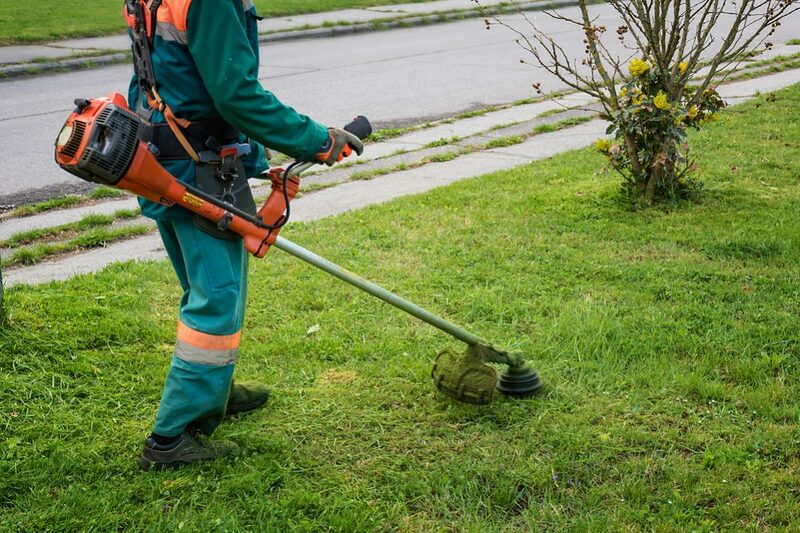 It is a powerful unit that will easily be a match for any weed or grass cutting tasks you put to it, and at a relatively lightweight 11.11lbs, it won’t be too heavy to use for extended periods. It includes several useful adaptations that make it comfortable and easy to use. For example, it features a Smart Start system that ensures you won’t have any problems firing it up – it usually won’t take more than one or two pulls to get it going. There is also an air purge function that removes air from the carburetor and fuel system, which also helps ensure it is easy to start each time. One useful addition we like is the auto-return stop switch – this allows the starter to return automatically to the “on” position so it’s ready to go again whenever you need it. The controls on this weed eater are simple and intuitive to use – there is nothing complicated here, and you don’t need to be a professional to use it. It also has several different multi-purpose attachments, making it a versatile piece of garden equipment. The handle has an ergonomic design that is comfortable to hold and easy to adjust, allowing you to find the best position for you. The shaft is also removable, which makes it practical and convenient to store or transport. It also comes with a very reasonable price tag, and if you are looking for an affordable gas-powered weed eater that gets the job done, this could be the perfect solution. This is another unit from reputable brand Husqvarna. In many ways it is similar to the previous model but also has a few significant differences. This version has a powerful four-stroke engine, allowing you to use pure gasoline so you won’t have to go through the hassle of mixing your fuel with oil. This is a 25cc model (compared to the 28cc model we just looked at) but has a power output capability of 1.07hp (compared to 1.0hp for the previous model). It features a flex drive straight shaft, a bevel gear, and a loop handle and is designed for home users who require a very respectable amount of power in their weed eater – it would also be suitable for semi-professional commercial use. Aside from the differences, it also shares many of the positive design features of the first model we looked at. For example, it includes the same Smart Start system and air purge function to ensure it is quick and easy to start up. At 11.24lbs, it is one of the heaviest weed eaters in Husqvarna’s range, but it is still not overly weighty or cumbersome and is still comfortable to use. One thing we particularly appreciate – and something that will be especially important for home users – is that it is very easy to assemble out of the box. You should be able to have it ready and working within minutes. The strings are easy to change when required too. Although this is a powerful unit, it also offers a very reasonable level of fuel consumption compared to some other options. This means it will save you money in the long run, even if it is one of the more expensive choices available. This is a powerful, convenient and easy-to-use weed eater that will give you semi-professional levels of performance. Although it is not the most inexpensive option, it represents great value for money. It would be ideal for anyone who needs something that will effortlessly cut through weeds or grass without any nonsense. A recommended product. Here, we have another solid option from Husqvarna, this time the two-cycle, 28cc 128LD model. This one is designed for home use and will take care of moderate-level jobs – including cutting weeds, trimming the verges, managing hedges and pruning back branches – with ease. This 1.0hp model has plenty of power to perform admirably. We like the way it has a standard fitting type, allowing you to switch up a range of other accessories from other manufacturers. This will give you an ever-greater level of flexibility over how you care for your garden. Just like all the other Husqvarna weed eaters, it incorporates a Smart Start system coupled with an air purge function that combine to ensure it starts effortlessly every time. The auto-return start switch also means it is ready to start again whenever you need it. It is a lightweight unit, and at only 11.11lbs, it won’t cause your arms to ache or make you need a rest when using it for longer periods. It also features a useful cutting guard to keep you safe from both the cutters and any grass or twigs that might get thrown up in your face. We like the way that a lot of thought has gone into making this cutter a pleasure to use. The handle is adjustable and features a soft grip, giving you the maximum levels of comfort. The controls are also easy to understand and simple to operate. Furthermore, the shaft is detachable, which makes this much easier to store or transport as required. It is simple to assemble, and any attachments are also easy to attach, meaning this cutter will be ready to use only a few minutes after you take it out of the box. This is a solid, affordable unit that will do a great job of making many of your gardening tasks less trouble. It is flexible and adaptable to many different uses, it is well built and reliable and comes with an affordable price tag. For something that will simplify many basic gardening chores, this is another unit worth checking out. If you need a commercial-grade weed eater for heavy use and tough jobs but all at a very reasonable price, this unit with a two-cycle engine, once again from Husqvarna, might be the option to go for. One of the biggest highlights is the X-torq engine. This allows it to cut harmful emissions while also improving engine efficiency by up to 20%, potentially saving you more money in the long run. It also includes the same air purge function to remove air from the carburetor and fuel system that is found on all Husqvarna weed eaters, ensuring it is easy to start every time – you won’t find yourself fighting with it every time to get the engine started. It also features easy-to-use intuitive controls to make it as easy as possible to operate. 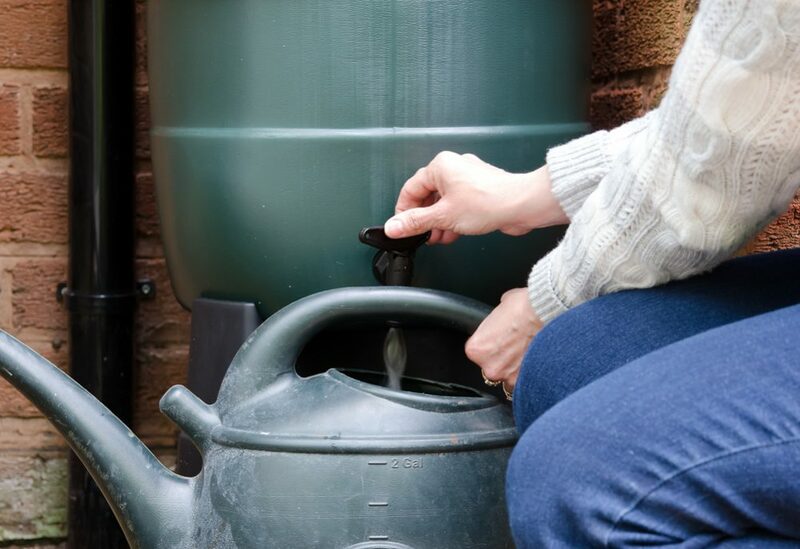 Refilling is also simple, allowing you to spend more time tending to your garden and less time worrying about your tools. It is also surprisingly lightweight as well as being very comfortable to hold and to use, all of which means you will be able to spend long periods working in the garden without becoming tired or ending up with sore arms. One thing we really like about this model is the low price tag. Even though this is a high-performance commercial-grade cutter, it still sells for an extremely reasonable price, so you can have reliable, professional-quality equipment without having to pay top dollar to get it. We love the way this machine offers you a great combination of reliability, simplicity of use, solid performance and affordable price. 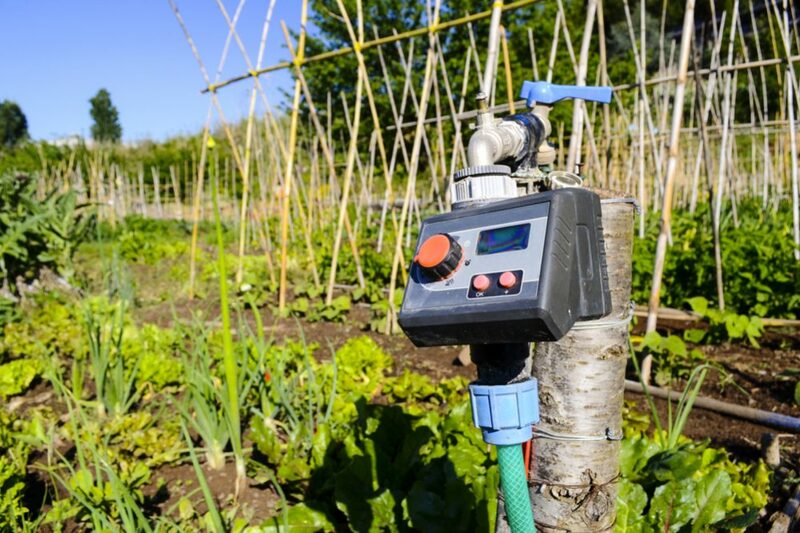 When working in the garden, having the right equipment makes the task a whole lot more enjoyable, and this model certainly does that. Husqvarna is a well-known and trusted brand that makes a range of high-quality garden equipment, and it is no surprise to find four of them in this review. If you want a cutter you can trust but don’t want to break the bank, this is another solid pick. Another great option for a dependable weed eater could be this highly versatile machine from Troy-Bilt. This is a trusted all-American brand with over 75 years of experience in making high-quality garden tools – this trimmer is made in the USA and built to perform. It features a powerful 29cc four-cycle engine that will be more than up to all the garden tasks you put in front of it. It is also designed to be exceptionally easy to start – the SpringAssist feature makes pulling the string much easier, meaning it’s a breeze to start it up. Once running, it also carries a steady and consistent level of power, allowing you to carefully cut weeds, grass and anything else with the utmost precision. Another useful adaptation is the curved shaft. This allows for greater balance while angling the cutting head away from the area you are working on. This gives you a better view of what you are doing, allowing you to cut, sculpt and manicure your garden exactly the way you want it. It also includes a dual line bump head which allows you to load the cutting string more easily, another useful and practical design feature. This unit sells at a very affordable price point for something of this quality, but something that makes it even better value is the fact that it is built to accept a whole range of other compatible attachments. Although sold separately, you can choose between an edger attachment, a pole saw, different blowers, a brush attachment among others. This means you can adapt this cutter to many other tasks – as the manufacturer claims, giving you a whole garage full of tools. It’s hard to find anything we don’t like about this weed eater. It’s easy to use, comfortable to hold and packs plenty of power. With its range of attachments, it’s also one of the most versatile pieces of equipment available, and if you want a reliable, solid cutter, this could be it. For a slightly more affordable option that still gets the job done, you might well want to have a look at this multi-use weed eater and combination tool from Eco LLC. It is a lightweight straight-shaft gas weed eater with a two-stroke engine that delivers all the power you need to trim and maintain your lawn or keep your weeds under control. We like the way that it is extremely easy to assemble, allowing you to begin using it within a few minutes of unpacking it from the box. It is easy to maintain, and the included attachments are easy to change, making it generally very simple to use. Speaking of the attachments, this trimmer comes with two types of cutting head, one for weeds and grass and the other for tougher jobs. This gives it an extra level of versatility – and you don’t even need to buy the attachments separately. The controls are also easy to understand, making this a very user-friendly option, and it is also very easy to start. With the fuel primer that purges air from the carburetor and the fuel system, this is another model that will start first time almost every time. It has also been designed with comfort in mind. The double-handled configuration along with the attached strap and loop make it easy to hold, while the anti-vibration feature also makes it comfortable to use, even if you have jobs to do that take a long time. While not significantly less expensive than some of the other comparable options currently available, this is still one of the most affordable weed eater tools available. The fact that it comes with two different head attachments means this tool represents great value for money. This is a solid piece of kit aimed at the home user who wants a weed eater that gets the job done with a minimum of fuss. If you are looking for a trimmer that will help you maintain your garden just the way you want it while helping remove some of the hard work from keeping it that way, this is another versatile tool that is well worth a look. This is another very reasonably-priced but high-performance weed eater, this time from Hitachi. It features a solid steel shaft and a 22.5cc two-stroke engine that is designed to give you plenty of power while at the same time keeping harmful emissions to a minimum. 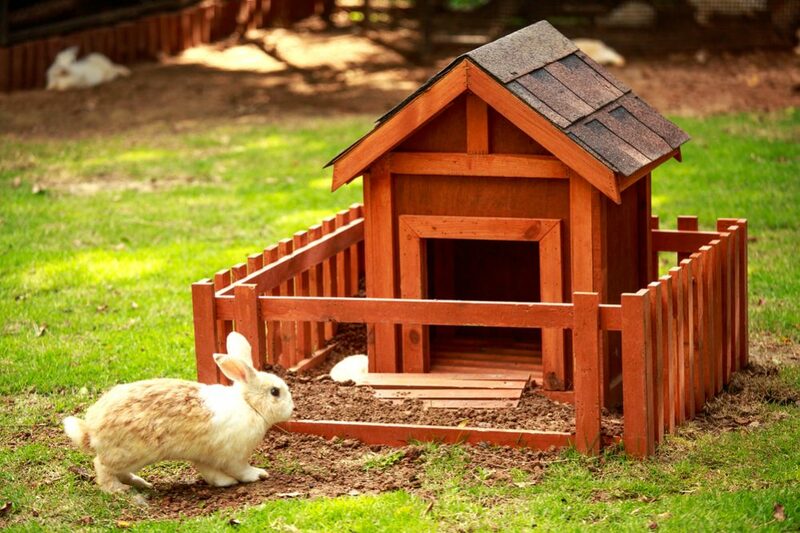 It is very simple to assemble and is also designed to be as easy as possible to maintain. This is a well-known and reputable brand, and as long as you look after it and maintain it properly, this is a garden tool that should give you many years of service. One of the best features is the highly-effective anti-vibration technology. 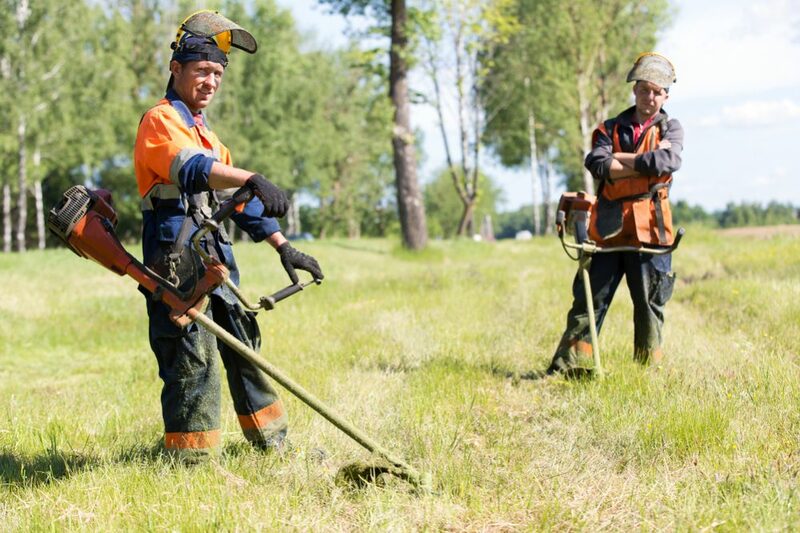 Weed eaters that vibrate too much can cause fatigue and give you aching arms with extended use – however, with this model, it shouldn’t be a problem, however long you use it. It is also very lightweight, another important consideration. Sometimes weed trimmers, especially gas-powered ones, can weigh a lot. If they are too heavy, you can end up with sore arms or a stiff back after working in the garden – but this one is very comfortable to use. It also boasts an extra-long 69.6” shaft. This is designed to eliminate the need for bending over as you work, again to make your gardening activities as comfortable and painless as possible. Another great feature is the starting mechanism. In the past, many garden tools such as lawnmowers and weed eaters were a pain to start and required a powerful tug to get them running. However, this weed eater incorporates a special S-start recoil system, meaning just a gentle pull on the starter is enough to get it going, making it more accessible for just about anyone to use. If you are looking for an affordable and reliable weed eater with plenty of features designed to increase ease of use and overall comfort, then this could be another option worthy of your consideration. It is simple to use and does its job well – another top product from Hitachi. 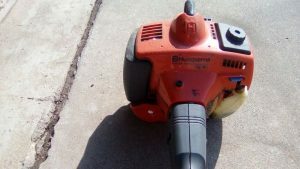 If you are thinking about buying a new weed eater for tackling the weeds or keeping your lawn looking smart, you will probably have noticed that there is an abundance of choice – so much so that choosing the best option can be a little confusing. First, let’s think briefly about why you would want to choose a gas weed eater rather than any other type – then we can have a look at the features you should look for when choosing the best gas weed eater for your specific needs. 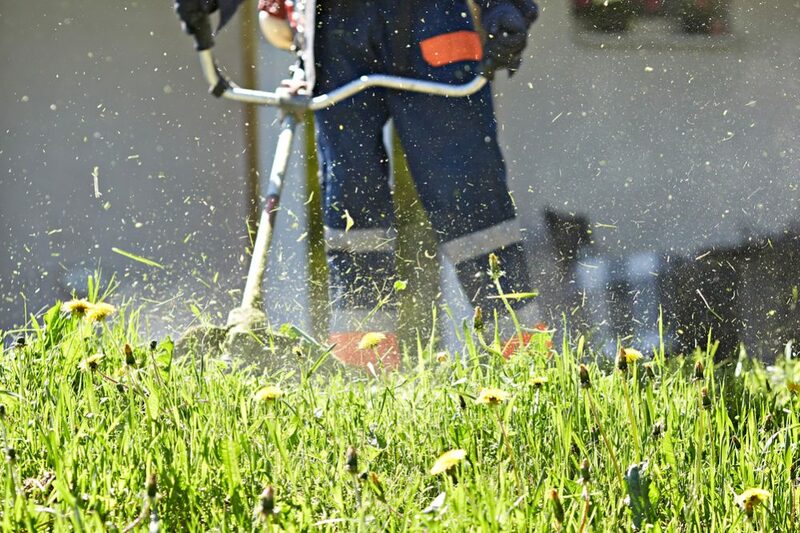 When it comes to weed eaters, there are a couple of different options, each with their own advantages and disadvantages. First, there are mains-operated electrical weed eaters. 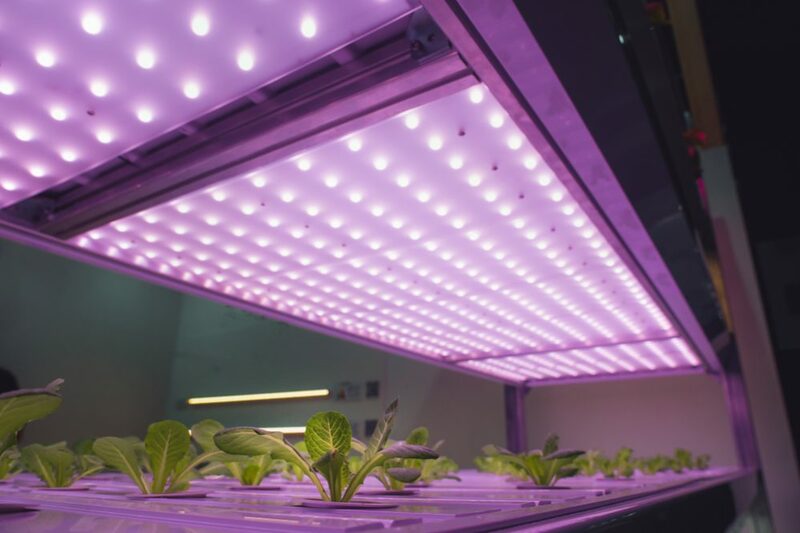 These have the obvious advantage of being run on electricity, so you won’t need to worry about powering them – you just plug them in and go. However, the major disadvantage is the lead. 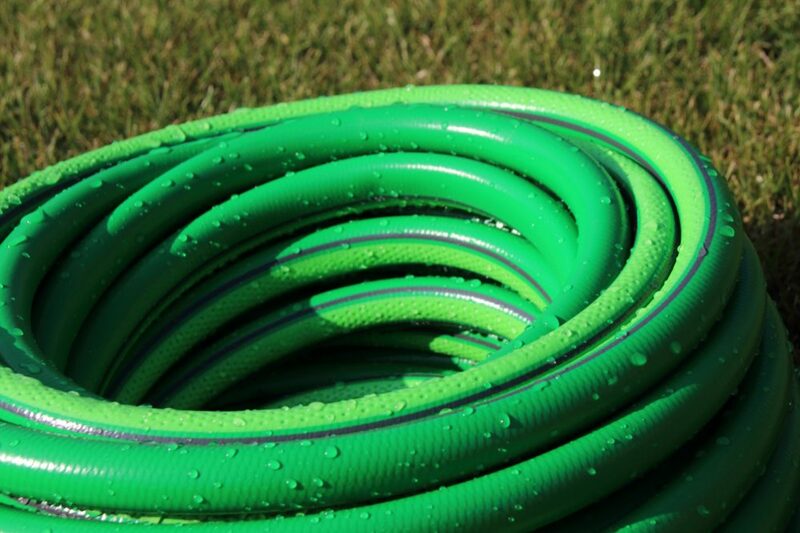 Leads can be awkward and may get in the way when you are trying to trim the weeds or your lawn – and also severely limit how far you can move. Another solution is weed eaters with batteries. They overcome the problem associated with having a lead with a rechargeable battery. For mobility and practicality, they are a much better option. However, they also have disadvantages as well. First, battery-powered models can sometimes be lacking in power, meaning they might not be up to tougher jobs. Second, batteries also tend to run out quickly and you will need to recharge before you can continue cutting. That’s where gas weed eaters win out – they suffer from neither of these problems. Gas versions are usually a much more powerful option, and when they run out of gas, you simply top them up again – there’s no waiting for the battery to recharge. Although they can be noisier and also cause a certain amount of pollution, if you need mobility, power and long life all in one package, a gas-powered weed eater could be the best solution for your requirements. If you have decided a gas-powered model is the right option for you, there are several things you should look at to help you choose the right one. Here are the main points to consider. One of the most important considerations is how powerful the cutter is. 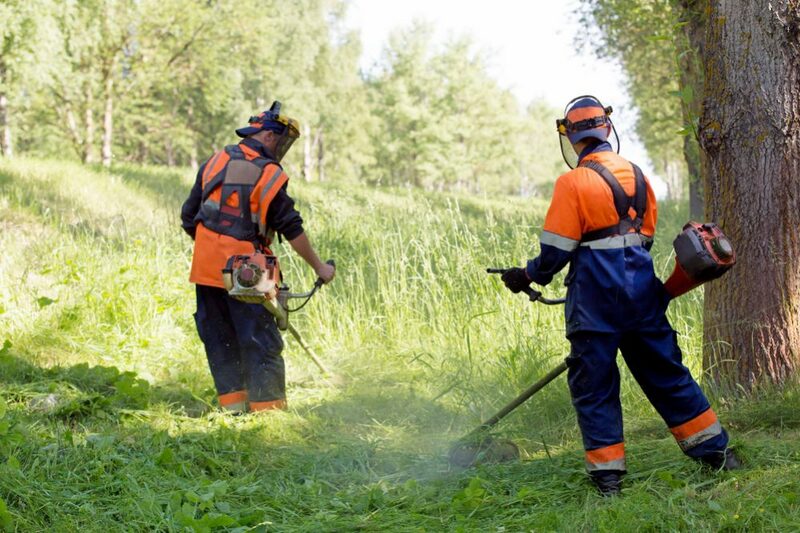 If you are choosing a gas-powered trimmer, power is obviously important, and you should pay attention to whether the power output is enough for the kind of jobs you want to do. 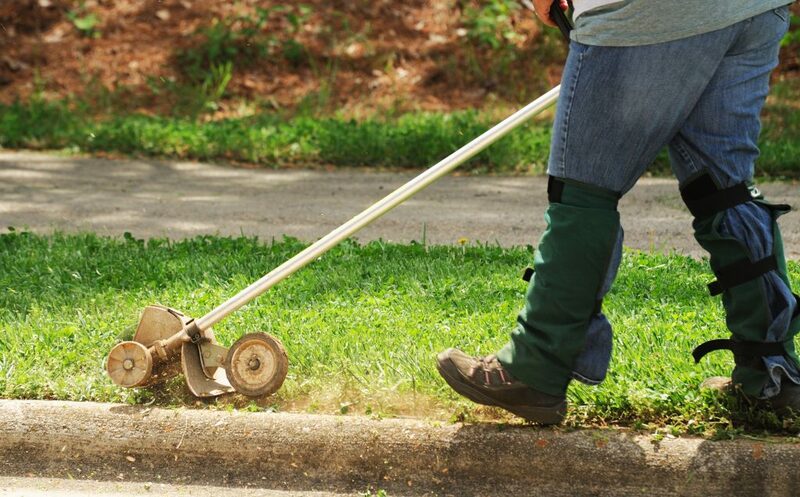 Do you just need to trim the edges of your lawn and take out the weeds that creep in from time to time? Or do you need to tend to the grounds of a large property with significant amounts of tough, long grass that needs to be dealt with? Being clear about how it will be used beforehand will help you choose the most appropriate model. Gas-powered engines in weed eaters are either two-stroke or four-stroke. In general, two-stroke engines are less expensive and deliver a higher amount of power but are also noisier than four-stroke versions. However, four-stroke engines are lubricated with oil from a reservoir while two-stroke versions are not. This means you need to mix oil into the fuel manually with a two-stroke engine, and you will probably need to change the spark plugs more often too. Either type of engine can do a good job. If you have a preference for one over the other, then, by all means, choose that. If not, you just need to be aware that the two types of engine need slightly different fuel and also need to be maintained slightly differently. This is an obvious point to look at. More powerful engines tend to use up more gas – there’s no point buying a big gas-guzzling model when you only need it for light use. However, some models are more fuel-efficient than others and can save you money in the long run, making it another point worth bearing in mind. Comfort is a vital consideration, especially if you will be using the tool a lot. Pay attention to the grip of the handle and whether it can be adjusted as well as whether the trimmer has a strap to hold its weight. The weight of the unit is another highly important aspect to take into account. 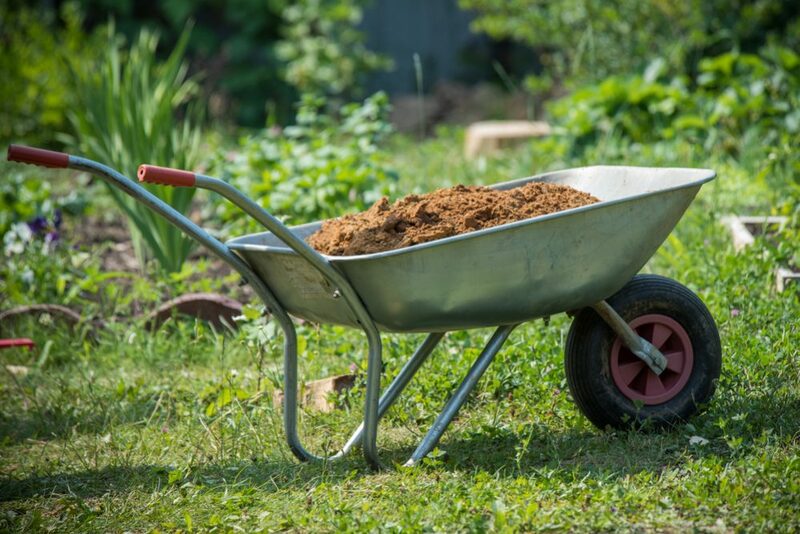 If you are going to be using this in your garden for extended periods, you want to be able to hold the weight. If you don’t need a heavy-duty model, there are several lightweight options available. Many weed eaters now can accept a number of different accessories, including edging tools, saws, blowers, brushes and others. If you want to be able to use your weed eater for more than just cutting weeds and grass, make sure you buy one that can accept attachments. 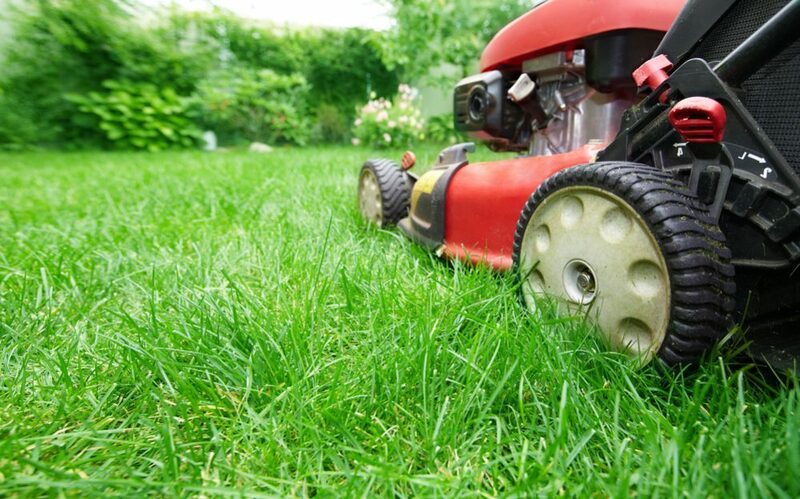 In general, weed eaters that are designed for home use are more likely to accept attachments than commercial-grade ones. Commercial-grade cutters tend to be designed for a more specific purpose and are less versatile. To make things easy for you, you should look for a cutter that is user-friendly and easy to control. There’s no need to make things more complicated than they have to be, so choose equipment that is easy to use. Another point to take note of is how easy it is to change the cutting strings. With weed eaters, the strings wear out periodically and need replacing. This operation should be easy to do in a short amount of time. Since this is a necessary part of owning a weed eater, avoid buying models that are too fiddly to change the strings. When you unpack your weed eater, it should be easy to assemble and start using. Another important factor is how easy it is to maintain. Keeping it clean and in good condition will prolong its life, and maintenance should be easy to carry out. Gas weed eaters make maintaining a tidy and attractive garden a breeze. There are many options out there, from lightweight occasional trimmers to heavy-duty units for intensive use. From our top picks above, you are sure to be able to find the ideal model for you.